The AP13K Series Floating Tine Pallet Fork is handy when lifting and transporting objects on the work site or on the farm. 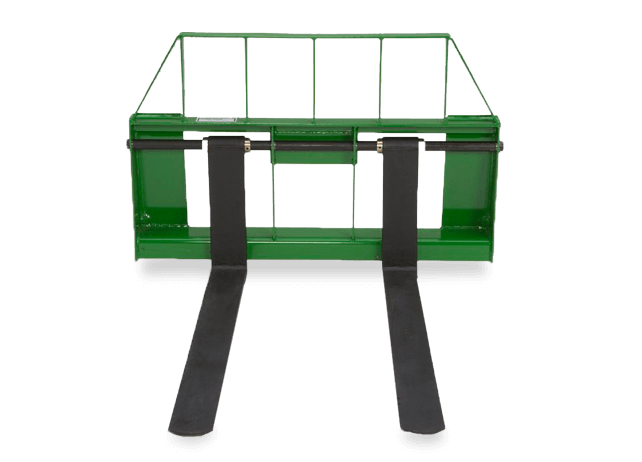 Attaching the AP13K Pallet Fork to a John Deere Loader featuring Global Category 2 Carriers is easy with Quik-Tatch. The steel frame is strong for tough jobs. Fixed or floating tines are available.